Cost. Flights, lodging, car rental; they all cost more in high season. Crowds. While we do miss a few sites traveling off season, we don’t miss the throngs of people we would have to share them with if we traveled in late June and July. That said, our trip to Ireland this year will be in early June, just the end of the shoulder season, as we plan to visit Northern Ireland before heading to the Western and central counties. The best time to travel to Ireland depends on both your budget and what you want to do. If you are planning a Dublin city vacation, visit during a low season (October-December; January-April). You’ll find fewer crowds along Grafton street, in the museums and historic buildings. The majority of Dublin sites are open year round, though the hours may be shorter. Flights and lodging costs will be lower, leaving you more money for fun and souvenirs. You’ll still find great craic and live trad music in the pubs, and Dublin has a terrific public transit system when you don’t want to walk. If you’re traveling with children don’t miss the Dublin Zoo. Crowds are light in the cold months and the animals can be surprisingly active. If your entire vacation will be in Dublin you will probably benefit from , which includes entry to popular sites, discounted transportation and special savings. The warm waters of the gulf stream help keep the southern parts of Ireland a bit more tropical than you might imagine. While not warm, the southern counties of Ireland have a fall-like feel well into November. As the southern counties are very tourist-ed, you’ll find the majority of sites open year-round, though some amenities may be closed. Some of the most popular destinations in Ireland lie in this region: the Cliffs of Moher, Rock of Cashel, Bunratty Castle and the Ring of Kerry, to name only a few. I recommend this region in the shoulder seasons (September thru mid-November; April-May). You’ll likely find lovely weather, perfect for layering that new Aran sweater, and great travel packages. If the west of Ireland, including the Aran Islands or a boat ride at the base of the Cliffs of Moher, is on your agenda, you need to time your visit carefully as boats don’t carry tourists during rough weather. Late shoulder season or high season (late May thru late September) is when you want to visit. Outside of Galway, visitors to this region tend toward outdoor activities like hiking and cycling, visiting magnificent Abbeys and enjoying the abundant beauty. I’m going to fall back to my statement that any time is a good time to visit Ireland, but the farther north you venture the weather seems a bit more brisk. As so many of the dramatic sites in Northern Ireland are along the coast we, personally, have waited to visit until late shoulder season, early high season. Costs are, of course, higher in high season. What are your thoughts? Do you have a favorite time to visit Ireland or tips for visiting specific areas? Please share your knowledge in the comments! Hi Jody! Your post is a treasure to me! So.. Any chances i’ll witness puffins cooing on the Cliffs of Moher during first 2 weeks of March? Thaaaanx! Oh those puffins!!! Can I tell you that I have yet to see them? Over a dozen visits and my timing has never been right. According to the Cliffs of Moher website the birds return and nest from late May to mid-July, with prime sightings in May and June. Another site says they come on shore in April and May, so you might squeak in a chance to see them in late March, but I wouldn’t let it ruin your vacation if it doesn’t happen. 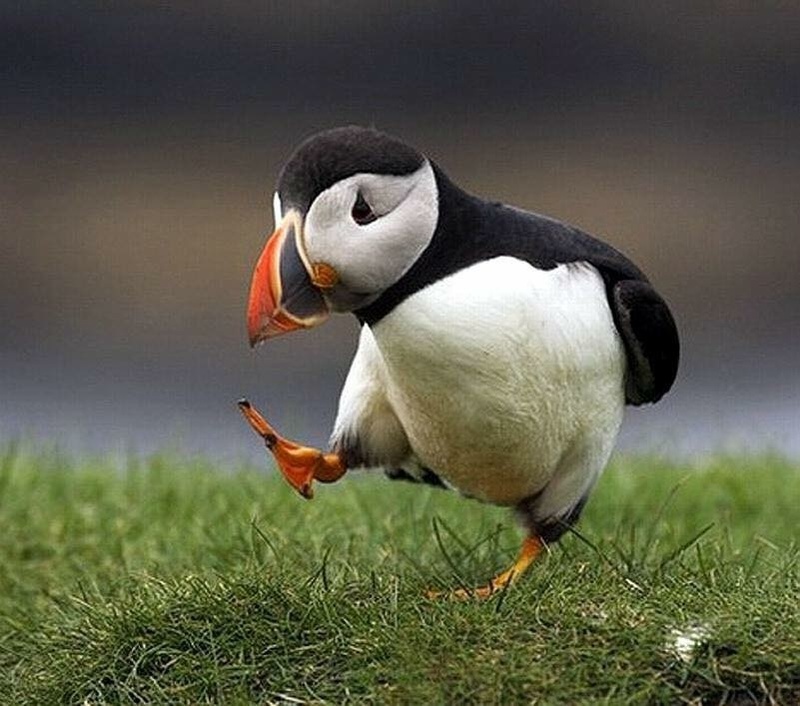 I wish for you safe travel and puffin sightings! I am planning a trip to Dublin and cliffs on west Ireland in may or June 2017. How can I travel to west coast by bus or train? And how many days do you suggest in Dublin and west irelands? Hi Suraksha. You can take a bus from Dublin to the Cliffs of Moher, then from the Cliffs to Doolin and beyond. If you want to go by train you would leave from Dublin and arrive in Galway or Ennis, then take a bus from there. How many days really depends on what you want to see and how much time you have. I recommend at least 2 days for Dublin and a day and night for the Cliffs of Moher and Doolin. But for Western Ireland…. I’ve spent weeks there and still haven’t seen it all. That said, if you are using only public transport you will be limited on what you can see and do. You might want to consider a tour out of Dublin to Western Ireland… this 4 day tour from Dublin includes the Cliffs of Moher, Killarney, Blarney Castle + transportation & lodging. My family will be visiting Ireland the first couple of weeks in December. We are super excited! We assume the weather will be damp and cold, and we will be mostly in Belfast and then Dublin. Any recommendations for traveling in December? Double check the open/ closing times for the attractions you plan to visit- winter hours are often shorter. You’ll find loads of great Christmas markets – be sure to check out St. George’s Market in Belfast! Also be aware that your hours of daylight will be short… with sunrise around 8:20am and sunset about 4pm. Thank you so much for your informative reply. Much appreciated!! We currently live in S.A. and were wondering if there is any difference regarding Visas etc. to visit Northern or Southern Ireland or are the requirements the same? Hi Sally and thanks so much for your question! To visit Northern Ireland you will need a Standard Visitor Visa (according to gov.uk) if you fly into Belfast airport. I think it unlikely that you would be asked for your Visa if you flew into Dublin and ventured into Northern Ireland for a few days, flying again out of Dublin. My hope is to not be drenched when we visit. Is the first of June okay for that? Is the temperature about the same from April-June? Ireland is never completely dry. It’s just a fact. But you aren’t likely to be deluged by rain, either. It’s usually a soft wetness. Average temperatures in May/June hover around the mid-50s (F), a bit cooler at night. By June the heavy rains of winter and spring have (mostly) moved on, with under 3″ being the monthly average. That said, we’ve visited in late May and had very wet days for our entire trip – and we’ve visited in November and had a completely dry vacation. My advice- pack with layering in mind, bring extra warm socks when you’re out exploring, and a water resistant jacket. And don’t let a little rain keep you indoors! I hope that helps! Please ask any questions that may come up as you plan your trip. We will be arriving in early June as well, so fingers crossed for nice weather!